Probably among the most commonly used words in grant proposals is the verb/noun “(to) understand”. 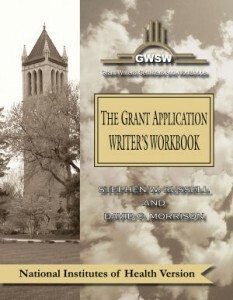 Applicants very frequently plan grant applications that have been designed to “understand” something, whether an explanation for a certain social phenomenon, a biochemical pathway, clarification of an as yet to be identified series of observations, or even a way to explain the underlying reasons for a given historical event. Thus, how common it is to read: “The objective in this proposal is to understand the underlying reasons for…”. Alternatively, there are those applicants who feel it important to be more conservative in the goals to which they would aspire. Under such circumstances, they might write something like: “The objective in this proposal is to better understand the underlying reasons for…”. While these are certainly laudable goals and meritorious of an applicant’s promise, their achievement in reality should prompt serious questions among reviewers and even the applicants themselves. Notwithstanding the first Merriam-Webster definition of “to understand”, namely “to know the meaning of (something, such as the words that someone is saying or a language)”, the two definitions that most applicants would use in a grant application would be “to know how (something) works or happens” or “to know how (someone) thinks, feels, or behaves”. In considering these definitions of knowing how something works or happens, or how someone thinks feels or behaves, the acquisition of understanding can be realized at various levels. By way of example, the level of knowledge that a novice in the field of biochemistry would strive to “understand” an enzymatic reaction would be quite different than that of a biochemist. Consider the addition of substrate “A” to enzyme “B” to yield product “C” and water. It should be clear that the experienced biochemist will “understand” that reaction quite differently than the novice chemist. Specifically, while the novice will “understand” the reaction in terms of knowing the enzyme and the product, the organic chemist will “understand” a much deeper level of molecular and atomic changes in the catalytically active site of the enzyme. Similarly, the extent to which an elementary school teacher might “understand” a problem child’s disruptive behavior pattern would likely be quite different from that level of understanding that would be appreciated by an experienced pediatric psychiatrist. These simple examples underscore the fact that “understanding” will have entirely different meanings, dependent upon the knowledge base of the observer. As another example, consider the applicant whose goal is to “better understand” the underlying reasons for a certain phenomenon. Let’s assume that the applicant would be successful and receive a three-year award. During the first year of the study, the applicant is quite successful and publishes three manuscripts in quality peer-reviewed journals in the applicant’s field. Arguably, the applicant would, at that point, be in a strong position to claim that he or she now better understands the underlying reasons. As a consequence, the applicant would have achieved his or her objective which was to “better understand”. At this point, the applicant is faced with a dilemma concerning whether or not to return the funds for the remaining two years of the project. However, the applicant could easily argue: “No, my real objective is to better better understand it” and, at the completion of the second year, my objective in the final year of the award is to: better better better understand it. The absurdity of this should be intrinsically obvious. As diagrammed, when relatively little is known about a series of observations, facts or events, a relatively small increase in knowledge can have a significant impact on total level of understanding. However, as the knowledge base increases and, accordingly, the total level of understanding increases, there are increasing challenges to furthering that level of understanding. As illustrated in the figure, therefore, the extent to which the promise of an applicant to “better understand” or “increase our understanding” would be meaningful would depend rather critically upon exactly where one is in the understanding versus knowledge relationship, and this is likely to not be accurately known either by the applicant, by the reviewers or by the funding agency. An additional problem that becomes apparent in considering the above is that to “understand” or “better understand” has a relatively qualitative and indeterminate endpoint. In contrast, every applicant should have an objective where the endpoint can be precisely delineated. As a consequence, we would strongly urge that applicants think very seriously in either presenting arguments for the need for “better understanding” or for proposing deliverables in which a “better understanding” would be anticipated. There are, in fact, multiple alternatives to “understanding” that would be equally acceptable – such as, “define the mechanism”, “elucidate the primary contributing factors”, “explicate the most likely external factors”, etc., etc. In this way, it will be possible to avoid the “nebulous trap” that is usually impossible to escape, with promises of “understanding”.